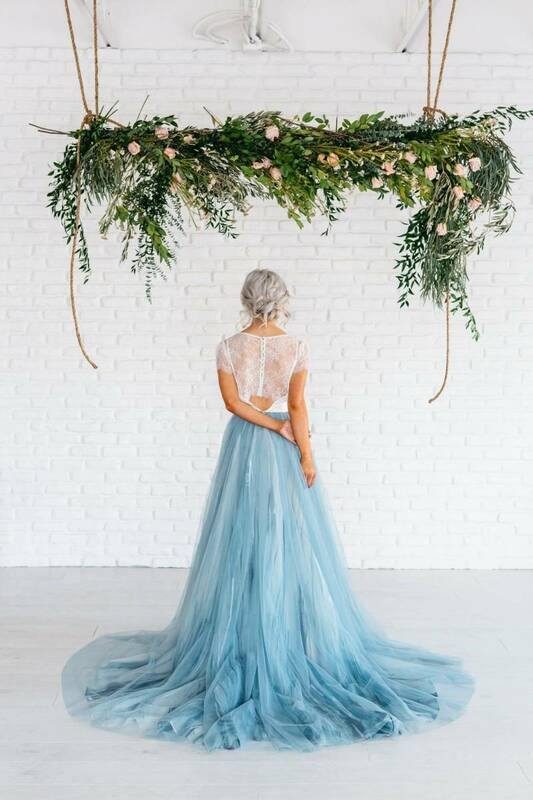 Hand-painted layers of tulle in gorgeous shades of blue...we are absolutely in love! Our favourite Calgary bridal shop is hosting a trunk show May 26-29 of Chantel Lauren wedding gowns. 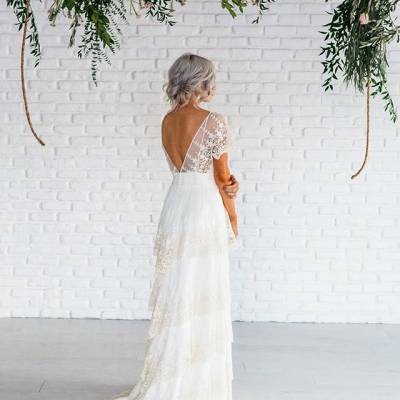 These are not your typical lace wedding dresses, they are free-spirited designs, hand-crafted from fabrics sourced around the world and made uniquely for each bride. These are beautifully custom gowns that will make you feel truly unique on your wedding day - and we know you're going to want to see them in person. Make sure you book an appointment at Pearl & Dot and get a chance to touch, feel and try on these beautiful creations. Pearl & Dot, is a Calgary bridal shop for the modern bride that specializes in curating the most incredible selection of gowns and designers from around the globe. They have an incredible eye for finding the most beautiful designers and wedding gowns created from ethical fabrics and local sources. If you haven't had a chance to visit their boutique, you must make an appointment today! Find out more details about the Chantel Lauren Trunk Show and book an appointment here. Images by Cory Devenney Photography for Chantel Lauren via Instagram.